Approved and used by GM, Ford and Chrysler. Permanently remounts mirrors to windshields. Achieves handling strength in seconds; mirror-mounting strength in 15 minutes. Available in single and multi-application size packaging. Typical applications include mounting rearview mirrors to windshields. Permanently bonds mirror buttons to windshields. Fast curing, achieves handling strength in seconds, mirror mounting strength in 30 minutes. ODC-free. OEM approved, works for all foreign and domestic metal buttons (NOT designed for plastic buttons). Includes everything required for repair and easy-to-follow instructions. Holds up well in high temperatures and humid environments. Two-part structural acrylic system designed to mount rear view mirrors. Resistant to moisture, chemicals, vibration, and impact. Simple application procedure, easy to apply. 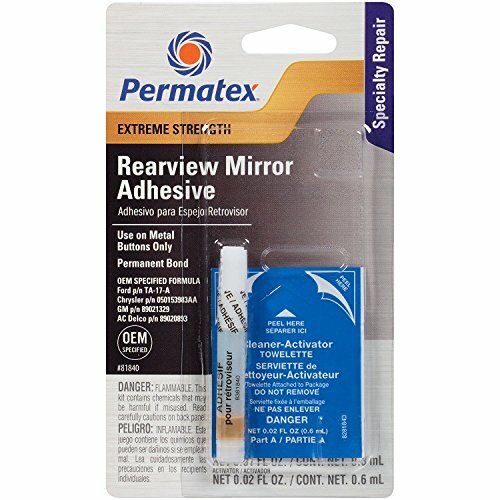 Permatex Extreme Review Mirror Professional Strength Adhesive features a 2 part (towelette & pipette) professional strength adhesive and activator. Medical grade towelette helps to minimize application messes, improves application accuracy and also provides a safer package for general consumers and professional installers. This product incorporates the same professional strength Original Equipment Manufacturer (OEM) specified formula for guaranteed results. 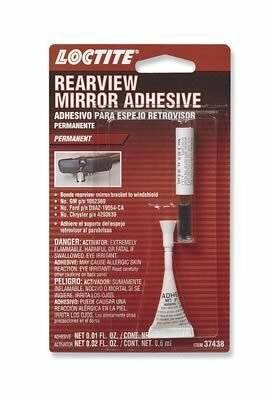 Professional strength rearview mirror adhesive repair kit. Activator: net wt. 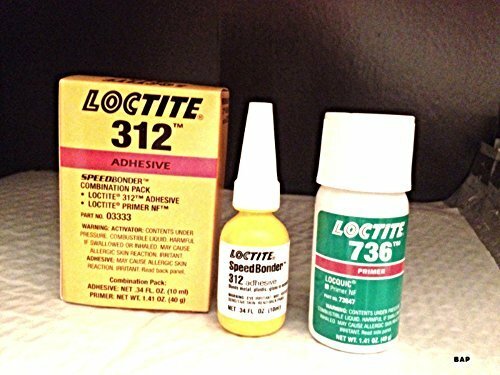 : 02 fl oz., (0.6 ml), adhesive: net wt. : 014 fl. oz. 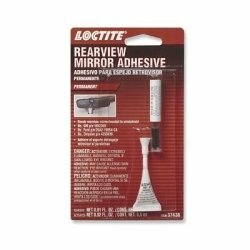 Handy Single Application Size This CRL Loctite Rearview Mirror Adhesive is offered in convenient, consumer packaged one-time use kits for repairing rear view mirror brackets. The carded kit contains enough material for one application, so there is no waste, and instructions are included for the do-it-yourself user. Color: Clear Amber Ship Via: Hazardous Material - No Air Shipments Minimum Order: 1 Box (12 cards per box.) *****WARNING!*****WARNING! **** *WARNING!*****WARNING! **** *WARNING!*****WARNING! PRODUCT CANNOT SHIP VIA ANY TYPE OF AIR TRANSPORT, INCLUDING UPS NEXT DAY AIR, UPS 2ND DAY AIR, UPS 3 DAY SELECT, FEDERAL EXPRESS, PRIORITY MAIL, ETC. THIS PRODUCT MUST SHIP VIA GROUND TRANSPORTATION ONLY!!! 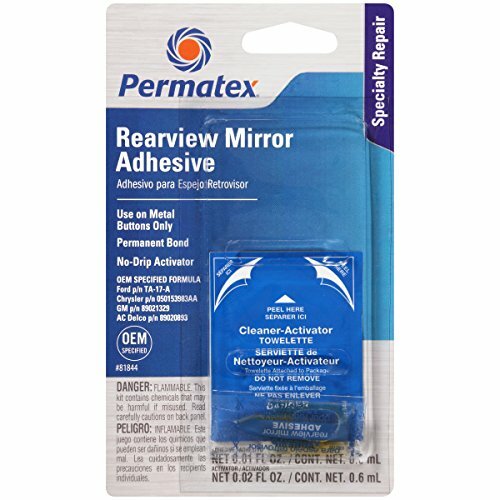 Permatex Professional Strength Rearview Mirror Adhesive is approved and used by GM, Ford, and Chrysler. Permanently remounts mirrors to windshields. 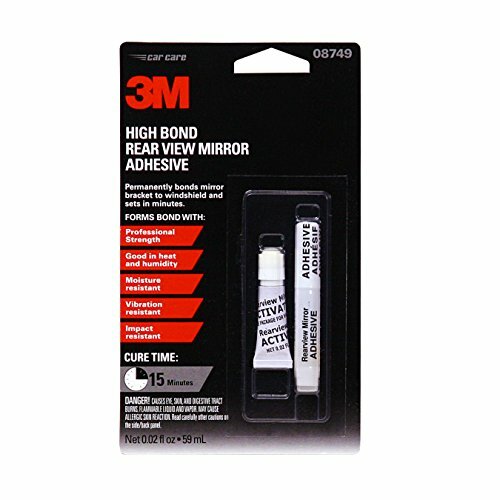 Achieves handling strength in seconds; mirror-mounting strength in 15 minutes. Single use only. ODC-free. Not designed for plastic buttons. 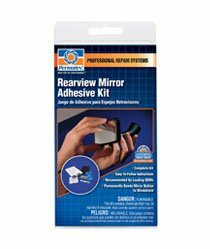 Day/ Night Mirror, 12" shatterproof glass, quick and easy replacement for broken Mirror, fully adjustable. Universal Auto 360° Wide Angle Convex Rear Side View Blind Spot Mirror forCar. Wowparts team offers 30 days return or replacement quality warranty &lifetime technical supports. Please contact us freely if you need anyfurhterassistance. Product Features100% brand new and high quality.New Design: Newest upgrade rotate adjustable blind spot mirror, maximize yourview with wide angle in car.Excellent Quality: HD Glass, equip with good adhesive for pressure-sensitivetape installation.Good Performance: IP67 waterproof, rust resistant and the glass will not haze,suitable for interior or exterior use.Reasonable Sight Angle: Flexible convex shape of blind spot mirror helps you toforecast the next surroundings when passing or changing lanes.Strong Adhesive: Waterproof adhesive, solid paste, tear off without leavingmarks.Wide Application: it is suitable for every truck, car, SUV, RVs and vans.Size: 5.12x1.18x0.39inch/130x30x10mm.Installation1. Clean back paste parts, keep dry.2. The appropriate use of hair dryer and other tools on the small fan gluedrubber heating.3. The rubber paper beak off, while the side of the tear.4. 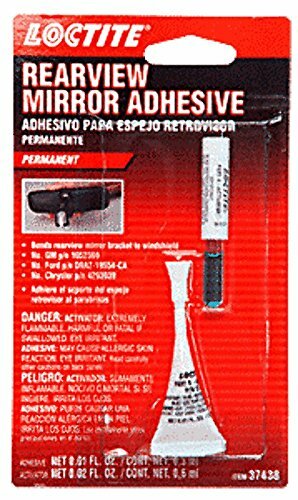 Paste the appropriate pressure after squeezing, according to thecharacteristics of adhesive, please do not wash in 24 hours.Package Includes2 x rear view auxiliary mirror. 2pc Side View Convex Mirror 2" Wide Rear Blind Spot Stick On Anti Glare Safety ! * Size: 2" Diameter This side view convex mirror provides a wider field of view reducing blind spots. 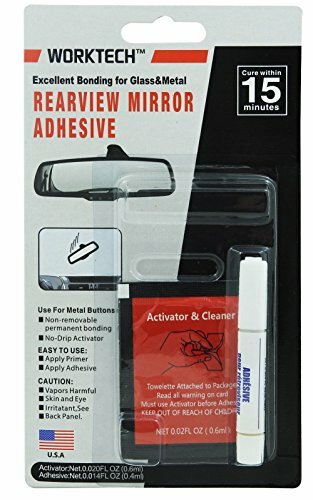 It has easy installation; no tools required simply peel and stick on to existing rear view mirror.Objects in mirror are closer than they appear to be. It will fit most standard rear view mirrors, recommended for use in mid-size and larger vehicles. This listing is for 2 pieces black safety blind spot rear view angle mirror for cars, trucks, motorcycle and SUVs. These rearview mirrors will give you a wider viewing to eliminates blind spot. They will help to reduce accident when passing lanes, merging or freeways and more. Product Details • 2 pieces black safety blind spot rear view angle mirrors • Size: 4.5"L x2.7"H • Made with high quality ABS and glass • 30 degree angle adjustable design • Improve confidence while backing up and parking • It is durable and long lasting under any weather situation • Universal fit for cars, trucks, SUVs, and motorcycles Installation • Detach the back paper from double side tape on the back of fixing plate to attach on the side mirror • Assemble new support mirror on the fixing plate and bolt upCheck our store to browse more kinds of mirrors!